When I created the Gluten-Free Guidebook group on Facebook earlier this year, I wanted readers to have a place to exchange information about their travels and their upcoming plans. Several people have shared recommendations from around the world. Liisa, a reader in Arizona, took the time to report on her trip to Hawaii, where she visited the islands of Oahu and Kauai. With her permission, I’m including her suggestions here as a reader report — a must-read for anyone visiting the Aloha State. Thanks so much for sharing this, Liisa! And as they say in Hawaiian, mahalo. Photograph of a dessert at Sweet Marie’s courtesy of Liisa. 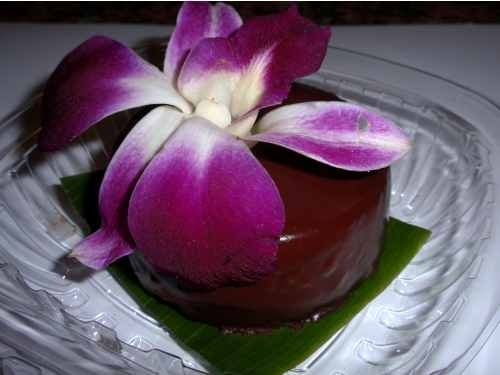 This entry was posted in Reader Reports, Restaurants, Shops and tagged baked goods, Hawaii, Honolulu, Kauai, Oahu by Hilary. Bookmark the permalink. Any info on gluten free possibilities on the big island? Thanks, Lisa! Will be headed to Kauai and Big Island this fall. Big help. Anyone else know about the Big Island possibilities? HI i’m Julien from France. And I’m more and more interested in Hawaii and Hawaiian language, and spirit.. I want to make a memorable trip there but i’m a gluten intolerant..so how could i be to eat ? thanks to you , i know now restaurants where it will be ok and safe for me that i come and eat..